I think it would help to keep that in mind when we send our work into the world to be judged by critics. And that should give us all hope. Not everyone can become a great writer, but a great writer can come from anywhere. See you next week and those in the US, have a wonderful Fourth of July! 'The new needs friends.' I like this. Happy Fourth of July, USofA folks! My kids have watched the movie, but I haven't. I'll have to put it on my list. :) Nice quotes and great inspiration! Awesome! Thanks for sharing that quote! Elizabeth, you must watch it! It's my favorite Pixar movie. Great quote. I've never seen that film. Not everyone can become a great writer, but a great writer can come from anywhere. I love that scene. Great movie too. Great writers can come from anywhere. Just look at the diversity of writers in the world of Blogdom. As to critics, I think they do risk a lot. If they don't give honest reviews, that soon catches up them. It's a hard job to give opinions about creations by other. Just the opportunity to be that book that touches someone, not just a critic, but a reader is reason enough to keep putting your work out there. Great speech and wonderful words to consider!! Great quote! Love that movie,too. LOVE THAT MOVIE..... and a fantastic quote! Thanks for reminding us, L. Diane. Hope you and the hubs have a wonderful fourth weekend too! That whole quote is awesome. Awesome. Very insightful quote from the critic. 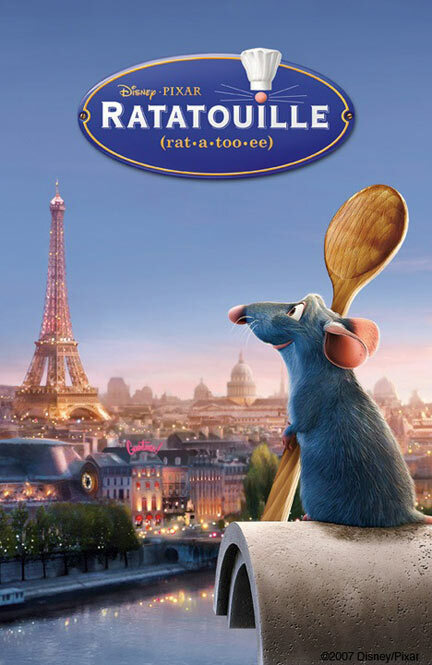 I remember the scene when he finally ate the ratatouille! Wonderful! Wonderful! Wish I could memorize that entire quote and keep it in my head. I haven't seen that movie, but the sentiments are quite profound. Good words to keep in mind. That's a nice thought to ponder! Thanks for the 4th of July wishes. Enjoy the rest of your week! That is a great quote and important to remember. It reminds me of one by Daniel Pink that says something to the effect that persistence trumps talent almost every time. I keep that up by my desk to remind me to keep pushing forward. What a wonderful quote. I think it's time I watched Ratatouille. "The new need friends." Because new is unfamiliar... different... bringing hope... with the potential to be the next great thing. You never know. Now THAT is inspirational! And reading it in regards to writers, so very, very true. I will post that on my wall, desktop, and on post it notes all over the house. Beautiful way to look at it. You are so right! David, it's my favorite from Pixar. Stephen, you aren't kidding about diverse. Sydney, that is why we keep doing it. David, makes me want to bake ratatouille. I'm glad everyone enjoyed the quote. One of my favorite movies ever(granted, most of the Pixar creations are in my list of "favorite movies ever", but still.) And such a great, great quote. Thanks! Very inspirational way to start the holiday weekend. Have a good one. Great quote from a great movie. 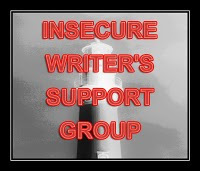 I tried reviewing some books and movies on my blog but I found I was too concerned with the author's feelings to write anything negative. I'll stick to writing books, and others can do the reviewing. It's so true though. It's easy to criticize creativity. Being brave enough to be creative is something else entirely. Beverly, one of my favorites! JM, that's the way to go. Misha, you summed it up perfectly. I'm getting emotionally overwhelmed with all these accolades. All this mention of "IWSG" aka "I Was Seeking Gary", is just too much for shy and humble me. However, thank you. Excellent, my friend. Another food for thought, posting. A peaceful Fourth of July, y'all. Oh, thanks Diane! I want to watch this movie again. It is emotional and profound when we see things happen in new ways! When one risks and makes a huge ripple. Thank you for sharing!! I loved those quotes! Thanks. Well said, don't let others tell you whether or not you like something. I always think about that with movie, book, or food critics. Great movie! So much of it can relate to artists of every stripe. I going to have to watch this film now. Great quote!